Although trees are resilient figures in the hierarchy of nature, they still need attention and love to thrive. Hiring tree service in Las Vegas is one of the best ways to ensure your trees stay health and enjoy a long life. Before deciding on a tree service, however, make sure they perform the necessary steps for improving tree health. To keep the structure of the tree stable and facilitate healthy growth, it’s important to get rid of weak or dead branches. When these are left unattended, they eventually hinder growth. However, when they are removed regularly, the tree has room to continue growing and sprouting new limbs. Finding quality tree trimming in Las Vegas will do wonders for your trees! Any reputable tree service offers quality tree fertilizer, but make sure they provide options for the types of trees in your yard. Also, talk to the arborists about application methods and frequency to ensure your tree receives the proper attention it needs. Especially to protect young trees, mulch is one of the best things you can do for a tree. 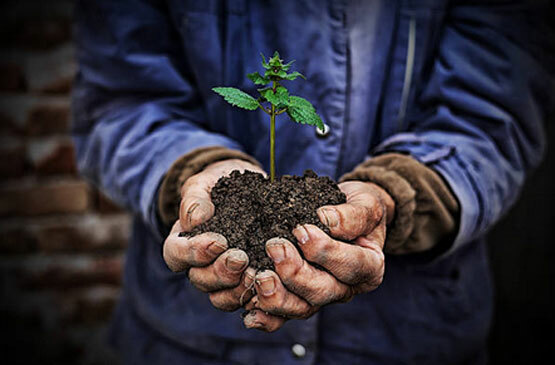 From improving the soil to increasing oxygen levels and providing sophisticated temperature control, mulch performs a multitude of beneficial tasks to keep trees healthy. Weather does crazy things to trees, and sometimes tree removal in Las Vegas is a necessity. Instead of trying to restore health, it’s often best for the tree, the soil, and the surrounding landscape to simply get rid of the damaged tree. Don’t let your trees go unattended any longer! Start improving their health by developing a practical regiment of services to encourage growth. Call the experts at Nevada Tree Service to learn about additional practices for improving tree health.